Get Best Child Insurance Policy Quotes. Start today!! Get Best Plans & Save Tax.Plans Starting @ Rs. 2999 pm* . Apply, Get Free Quotes. Start saving for your child's higher education & be ready with Rs. 25 Lacs when they need it. Children plans insure that desired funds are available for your child's higher education when your child attains the age of 21 years. It has a build in feature where the premiums are invested by the company in the policy till maturity, in case of sudden demise of the policyholder. Child Insurance Plans starts from Rs. 100/day* investment. Our children are our greatest gifts and when it comes to them we never compromise. We ensure that our children are brought up with the utmost care, get the best in nutrition, receive the best of educations and have a perfect life. Having high aspirations for our children is a common phenomenon yet meeting such aspirations is a difficult task. The reason, is obvious – lack of financial resources. Having a sound financial corpus to fulfil every wish of your child is a dream which many of us have and yet very few of us manage to achieve. In today’s economy where the prices of everyday goods and services are sky-rocketing, having sufficient savings is difficult. Add to it other miscellaneous expenses which target our incomes, we struggle to make both ends meet and in this scenario saving enough for our child’s future seems a distant goal. a) Correct knowledge – comparing gives a correct estimation as to the available plans and their comparative features. While one plan might have one advantage, another might have another advantage while other plans might also promise something better than their contemporaries. That is why having a correct knowledge about the available options is required to make a correct decision too. b) Correct decision – as I touched upon above, having the required knowledge helps in making a correct decision. Since the entire available child insurance plans have some or the other advantage over the other, having the required knowledge would help us in making the correct decision. We can analyze the various options, match such options to our requirements and then take the correct decision which suits our requirements. Thus, comparing helps us in making the correct decision when buying a child insurance plan is considered. c) Lower prices – did you know that by comparing you can get the best deal in your child insurance plan? Every child plan is differently as the pricing of an insurance plan depends on the insurance company’s pricing policy. This is the reason why, besides the different features of different child insurance plans, the premium rates of different plans are also different. By comparing the different plans, you can easily find out the plan which charges the lowest rate of premium and also provides the best features in its class. Other discounts which are available under the plans can also be ascertained and the whole buying process would then promise the best deal that you can get with your money’s worth. How to compare the different child insurance plans available in the market today? •	The type of plan – child insurance plans come in both types of insurance variants – traditional plans and unit linked insurance plans. It depends on your choice whether you want a traditional insurance plan for guaranteed returns or want to experience the market risks and reap good returns. So, the first step in narrowing down the list of plans which you would like to compare between decide on the type of plan you want for your child’s future planning. •	The benefits promised – once you decide on the type of plan you would like to settle on, it’s time to compare the plan benefits. Find out what is the plan’s maturity and death benefit, does the plan pay any bonus if it is a traditional insurance plan or is there a feature of loyalty or guaranteed additions in the unit linked policy, etc. Bonus or guaranteed additions play a vital role in enhancing the corpus accumulated and should be given due consideration. •	Premium Paying Term – some child plans require premiums only till a limited tenure while others require premiums for the entire period of the plan. These premium paying modes are called Limited Pay and Regular Pay plans. Assess which premium paying mode would be most suitable for you and whether such a mode is available in the plan which you are considering. •	Riders – riders are additional coverage options which can make the plan coverage extensive. Once again, the value of the riders depends on your requirements and if you want riders available in your plan, you should check the available riders. •	Discounts – life insurance plans provide discounts in the premium rate for various factors like high Sum Assured discounts, annual premium mode discount, discount for females and non-smokers, etc. These discounts lower the rate of premium payable and should be preferred by you when you buy a child insurance plan. •	Plan tenure – the term of the plan which you are considering buying should be such that it would provide funds for your child’s requirement when the child would need it the most. For this to happen, the tenure should be carefully chosen to coincide with the important landmarks of your child’s future which would require finances. Choose the plan which provides you with the ideal tenure which is suitable to your plan for your child. •	Premium rates – the last consideration, which sometimes becomes our only consideration, is the premium amount charged by various plans, before you judge the plans based on their premium rates, you should first compare the above-mentioned factors. Once you have shortlisted some plans based on the above considerations, you should compare the premium rates. This would ensure that the premiums compared are proportionate to the comparative features too. Needless to say, the best plan would then be the one with the lowest premium amount. •	The offline way – in this way, you would have to either arrange to schedule a meeting with agents of multiple companies or visit the branches of various companies to find out the details of their child insurance plans. You could, alternatively, also consult a broker who deals in the insurance plans of various life insurance companies and find out the best plan. Even then, you would have to physically visit the broker’s office or meet with the broker’s representative for carrying out the process. It’s difficult, isn’t it? Well, that is the problem with the offline way! •	The online way – this is the easiest, most convenient and fastest way possible for conducting your research. You can view all the information online without having to physically go anywhere. Even you can consult your broker online which would save time. We also provide this comparison service where, by leaving your details, you can easily find out the available plans of insurance designed for your child. You would be equipped with all the required information which would help you make an informed choice and invest in the best insurance plan for your child’s future. Thus, comparing child insurance plans is essential and the process is also easy if you opt for the online route. We provide you with the required services so that you can invest in a child insurance plan which is not only the bets but also the simplest. Every parent dreams of a secure and healthy future for her child. 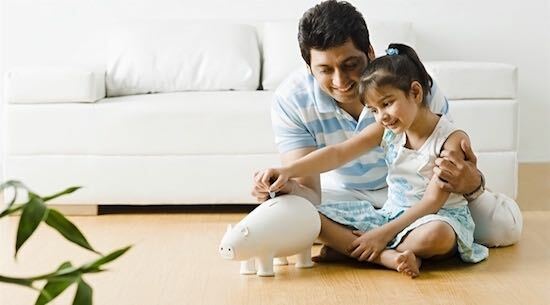 While the basic concept of child insurance was financial security, today it is seen more as a valuable investment tool. This has opened up several options in terms of child insurance. But the main question is this: is child insurance really required? The cost of education is high and naturally, parents want to give their children the best chances and choices to achieve their goals. This entails early investment planning to make sure that adequate finances are available when needed. Insurance plans bundle in both investment and insurance, making this possible. In a highly competitive industry, parents can now enjoy the flexibility of choice to match their unique needs while researching child plans.They can customize them with “riders” to add value in the form of premium waivers and more. Perhaps the biggest advantage of a child plan is the financial security the child is assured of in the unfortunate event of the sudden death of a parent. It is best to go in for child insurance as early as possible as it enables better risk management with the best returns. Child insurance plans are basically long-term investments that help plan for the future. Here are five critical reasons to invest in one. Today, one of the reasons most parents work hard to save is to create an education fund for their children so that they do not have to be loaded by the burden of loans when the time comes. Even school expenses are difficult to manage in many families. As children complete school, if they aim for higher studies in India or abroad, parents have to dip into their savings to fund them. A child insurance plan makes it easier to handle. For families with a medical history of ailments, the sooner they go in for child insurance, the better. The policy allows the withdrawal of cash to take care of emergency hospitalization expenses. The worst thing for a child is the loss of a parent. One can never predict death, particularly if in good health. However, in the event that it does happen, the child is eligible for a premium waiver on the insurance policy without foregoing the benefits due to her. Depending on the goals, the child insurance plan can be an excellent investment strategy. Whether the aim is an education fund, savings for wedding expenses, health or to manage your home mortgage, price fluctuations and insurance must be considered before investing. Regular premium payments based on the options chosen can result in excellent returns that will also secure your child’s future. Usually insurance companies offer Child ULIP and Child endowment plans. While the ULIP focuses on equity investments, the endowment plan focuses on debt instruments. The money invested can be switched between funds.Child insurance plans are also acceptable as security for loans. This is the primary purpose of the plan. This is especially relevant to professionals whose income is higher at the peak of their career. By going in for an investment-oriented plan, it will yield a higher rate of return in the long run. Continuation of policy until its maturity date even when the insured dies with the insurance company bearing the premium in addition to death benefit for the family. With the various options available in terms of tenure and format, it is best to compare before buying a child insurance plan. Keep inflation and the duration of return in mind when you plan.